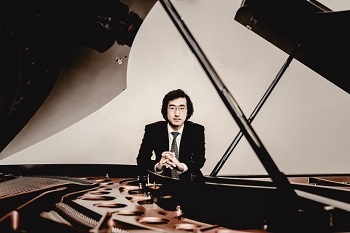 Praised as an “artist already of enormous prowess” (Verbier Festival Newsletter) with “lots of clarity, confidence, and wisdom” (New York Concert Review), pianist Hong has been on the roster of Young Steinway Artists since 2010. He has been featured as a guest soloist with the ORF-Vienna, Milwaukee, Indianapolis, Camerata New York, Fort Worth, Richardson, Racine, Waco, Galveston, and Brazos Valley Symphony Orchestras. He has given performances in prestigious venues such as Carnegie Hall’s Weill Hall, Lincoln Center’s Alice Tully Hall, the Vienna Musikverein, Église de Verbier, Merkin Hall, and the Kennedy Center.